Its 2017. Kathy Acker, or maybe not Kathy Acker, is about to get married, Trump is tweeting maniacally and the world is swinging between political suicides and Brexit bashing headlines. But it's Kathy we care about. In Olivia Laing’s first novel we are treated to a real time exploration of love and life in 2017. 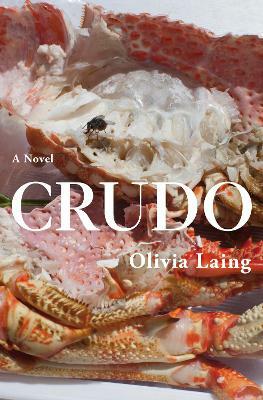 Scorching with flair, wit and an impeccable turn of phrase Crudo is the spilling out of thoughts, reseversations and truths in all its artful and beautiful glory. Revel inside this unquiet mind, soaking up the persona of Kathy, and the life she is trying to live as the world rushes in on her, and all of us. In her first work of fiction, Olivia Laing really has taken everyone else to school with this brilliantly constructed and radiant work.